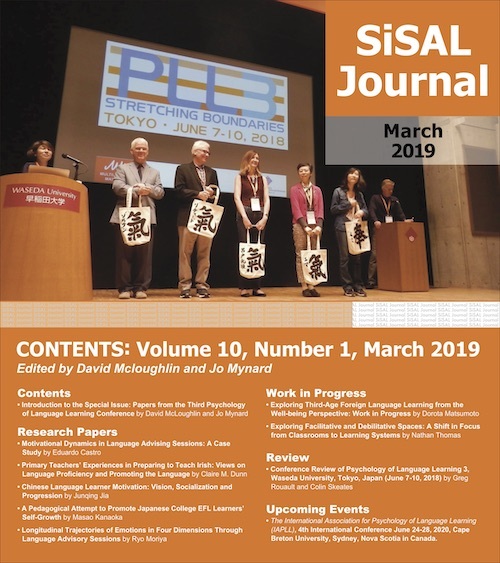 Welcome to the final installment of the column which followed the self-directed learning curriculum renewal project being conducted at Kanda University of International Studies in Japan. This final installment by Junko Noguchi on the complicated issue of assessing self-directed learning is accompanied by a conclusion from Elizabeth Lammons, the current curriculum coordinator in charge of the project. In my capacity as column editor (and as the original coordinator of the project), it has been fascinating to follow how the team has systematically approached the complicated task of both evaluating the existing curriculum and integrating new ideas and approaches to improve it. I would like to thank all the authors for their hard work in putting together these column installments, and to all members of the learning advisor team, past and present, who have contributed to the project. I hope it has been an interesting and valuable column for SiSAL readers to follow. From next issue (September 2014), the column will showcase an interesting and extremely relevant project undertaken at the University of Bradford, UK, to update and transform its self-access centre, Room 101, into a social learning space. Watch this space!